Actor John Lloyd Cruz was reportedly denied entry by the Japanese Immigration for giving false information about his trip to Japan last Saturday, December 12. John Lloyd Cruz was reportedly denied entry into Japan last Saturday, December 12 for allegedly giving false information about his trip in the country. According to a report by Otto Osorio in Abante today, December 15, the Japanese Immigration officers at the Narita International Airport in Japan denied entry to the actor and his companion, identified as Ms. Montalbo, who was believed to be his road manager. John Lloyd and Ms. Montalbo reportedly went to Japan on a tourist visa. According to Bureau of Immigration Airport chief Ferdinand Sampol, John Lloyd and Ms. Montalbo left the Ninoy Aquino International Airport (NAIA) Centennial Terminal 2 around 3 p.m. on Dec. 12 boarding Philippine Airlines flight PR 432 going to Narita, Japan. Upon arriving in Japan, the Kapamilya actor was allegedly brought to Narita airport's immigration office where he was asked about the real reason of his visit to Japan. The 26-year-old actor, however, was not able to convince the Japanese Immigration about his trip, so he was not allowed to leave Narita airport and was deported back to Manila the following day. John Lloyd and Ms. Montalbo reportedly returned to the country through Philippine Airlines flight PR 431, which arrived at 1:30 p.m. the following day, Dec. 13. The actor was greeted by his fans at the arrival area of NAIA. 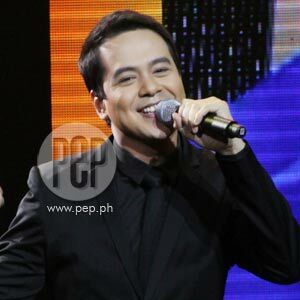 While writing the story, PEP (Philippine Entertainment Portal) tried to get the side of John Lloyd through Star Magic, the talent arm of ABS-CBN which handles his showbiz career. However, at press time, PEP has yet to receive a reply from his camp.